The Centre for Cultural Diversity and Wellbeing at Victoria University invites you to join us for this fascinating and timely seminar on ‘Active Citizenship of Muslims in Australia and Germany’ by Dr Mario Peucker. In this seminar Mario will present selected findings from his recently concluded research project on active citizenship of Muslims in Australia and Germany. Based on in-depth interviews with self-declared Muslims who have been actively engaged in various forms of civic and political participation in Australia and Germany, this study revealed the enormous complexity and diversity of Muslims’ active citizenship in both countries. How does Muslims’ participation unfold over time? What goals do active Muslims pursue with their civic and political engagement? How do they perceive and respond to experiences of exclusion and the prevalent Muslim-sceptical or hostile public climate? What role does their Islamic faith play for their active participation? The answers to these questions are often quite surprising and fundamentally question some widespread myths about Muslims’ citizenship in Western liberal democracies. 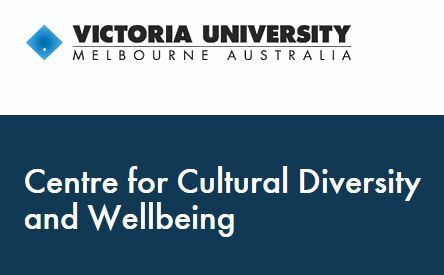 Dr Mario Peucker is a Postdoctoral Research Fellow in the Centre for Cultural Diversity and Wellbeing at Victoria University. He has carried out numerous research projects in Europe and Australia in the area of cultural and religious diversity, exclusion and citizenship since 2003. Mario is co-author of the recent book ‘Muslim Active Citizenship in the West’ (Routledge 2014) and has undertaken consultation for the UN Special Rapporteur on Racism; the Council of Europe; the Organization for Security and Co-operation in Europe (OSCE); and the Australian Commission for Human Rights. In the past five years, his research has focused on Muslims’ civic and political participation in Australia and other western countries.